Cyfrowy Polsat introduces a new service – Cable TV in IPTV technology, thanks to which viewers will be able to watch TV channels over the fixed broadband Internet, that is without a need to install a satellite antenna. The service is accompanied by a dedicated, new EVOBOX IP set-top box – a device which is a part of the appreciated by customers and award-wining EVOBOX series manufactured in InterPhone Service belonging to Cyfrowy Polsat Group. 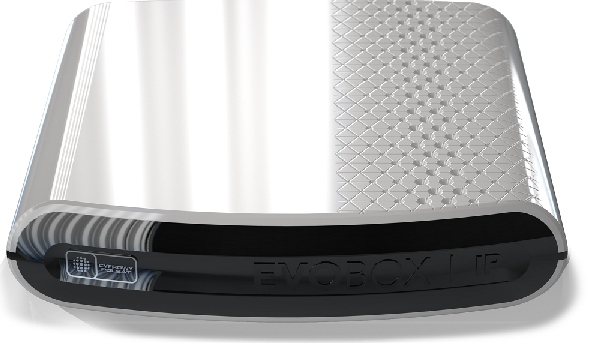 EVOBOX IP ensures access on the TV set to over 150 TV channels and is equipped with state-of-the-art features, including reStart or CatchUP, thus enabling the subscriber to use the television on his/her own terms. The new service will be available with subscription under the same package offering as on Cyfrowy Polsat satellite platform and will ensure access to the rich content offer of this platform, giving the customers a possibility to choose an optimum technology of TV signal delivery – via satellite or cable in IPTV technology. Thanks to this, everyone will be able to adapt the television services provided by Cyfrowy Polsat to the home infrastructure or local conditions. To use the new solution, the customer will need a new EVOBOX IP set-top box and the fixed broadband Internet access from the operators of Plus, Netia or Orange networks with a minimum downlink speed of 8 Mbps (per one set-top box). “Introduction of a new offer based on the IPTV technology is another stage of development of our Group as well as our response to the ever changing needs and expectations of our customers who will now be able to decide which method of delivery of the television content – via satellite or IPTV – is most convenient to them. Since December last year, Plus network has offered the fixed Internet access based on the Netia’s infrastructure, which is an ideal tool to be combined with the new TV service from Cyfrowy Polsat”, says Maciej Stec, a Management Board Member of Cyfrowy Polsat S.A. and Telewizja Polsat Sp. z o.o. CatchUP – it allows for watching selected programs even up to 7 days back from the date of their original broadcast, without any additional fees and without any need to record them! it is a small device (12.2x11.5x2,8 cm) with modern, minimalist design which makes it look good in any interior. EVOBOX IP is the first device in the offer of Cyfrowy Polsat which will enable the reception of TV channels via the Internet in the closed telecommunication network. For a few years already our set-top boxes has combined the satellite reception of TV channels with the Internet access to VoD content. Now, we are going to make another step and introduce the service fully based on the IPTV technology. This is a next stage of execution of our long-term strategy the goal of which is to provide our customers with free and flexible access to content that they like and expect, regardless of the technology of their delivery. Furthermore, along with the set-top box we offer our subscribers a set of interesting, state-of-the-art features thanks to which they will be able to personalize TV watching experience even more”, says Dariusz Działkowski, a Management Board Member of Cyfrowy Polsat S.A. and Telewizja Polsat Sp. z o.o. Cable IPTV of Cyfrowy Polsat offers the same packages as in the satellite TV offer of the operator and includes well-known, most popular sport, film, entertainment, education, news, kids channels and many more, combined in convenient packages adjusted to the needs of the entire family. a new EVOBOX IP set-top box is available with the offers of the Cable IPTV at the price starting from PLN 1 – at the Points of Sale across Poland, on the website www.cyfrowypolsat.pl and via the Customer Service Call Center. EVOBOX IP is a third set-top box introduced by Cyfrowy Polsat to the market in the recent months, the fourth device of EVOBOX series (after EVOBOX PVR, HD and LITE) and another model manufactured, similarly to numerous models from the last few years, at InterPhone Service plant in Mielec which is a part of Cyfrowy Polsat Group. This plant has already introduced a few million devices to the market which have a great reputation and are praised by customers. It is planned to air commercial spots under the advertising campaign promoting availability of the set including fiber-optic Internet access and Cable IPTV within smartDOM program - among others in Polsat, TVN and thematic channels of Polsat TV, as well as in national and regional radio stations. Furthermore, online activities were also targeted, including among others, horizontal, sport services and social media. The commercial spot has been directed by Piotr Kumik. TFP Product House has produced the spot and Televisor has performed the post-production. Vizeum media house is responsible for the purchase of media.